I know this isn't a new cook book, but it's one I didn't think I would ever buy. I'd read the blurb on Amazon and other reviews and it seemed to me that it was a book for families for children, people who were not experienced cooks and I didn't think I needed to know how to roast a chicken or make shepherd's pie. We get a mobile library van and normally my MIL gets my books but every now and then I'm home when it is due to come and last time, I saw Home Cooking on the shelves and thought: "I've nothing to lose". I had only had it in the house a couple of days when I decided that I had to own my own copy. I made the sage and onion stuffing which I stuffed into a pork shoulder, it was superb. I've recently found a great farm shop with their own butchery and on Saturday past I stocked up on beef mince, cumberland sausages, a chicken, chicken breasts and a piece of brisket. I froze most of the meat but kept some mince back, I hadn't really thought about what I would make but as this book was on the table I flipped through and saw the recipe for Beefburgers with gherkin relish. 1. Pour half the olive oil into a saucepan on a low heat, add the onion, season with salt and pepper, cover and sweat on a low heat for 10 minutes or until completely cooked and very soft but not browned. Remove from the pan and allow to cool. 2. Put the cooled onion in a bowl and mix with the remaining ingredients. Season with salt and pepper. Shape the mixture into eight evenly sized burgers. The burgers can be made to this stage in advance and kept in the fridge for up to 24 hours or frozen and then defrosted until ready to use. 3. 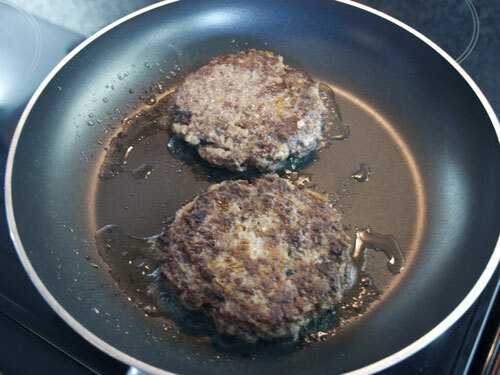 Pour the remaining olive oil into a large frying pan on a medium heat and fry the burgers( in batches if necessary) for 8-10 minutes on each side or until well browned and cooked through. Alternatively fry the burgers in an ovenproof pan for 304 minutes on each side until deep golden, then pop in the oven, preheated to 200C (400F) for 10 minutes until cooked. Serve on a bun with mustard or relish and salad. The burgers were just delicious, I will definitely make them like this again and the browning in the pan followed by finishing in the oven, meant the burgers were cooked properly all the way through without going hard on the outside. Mmmmm, looking forward to seeing what else you make from it. Lou. I was given this book when it first came out and I am still to make anything from it. Time to visit the book shelf me thinks! I flicked through the book whilst waiting in the checkout queue the other week but wasn't sure I would get much use out of it and put it back, glad that you have found recipes you like in it though! The burgers look yummy! I've never used any Rachel Allen books either, but I love any homemade burgers. 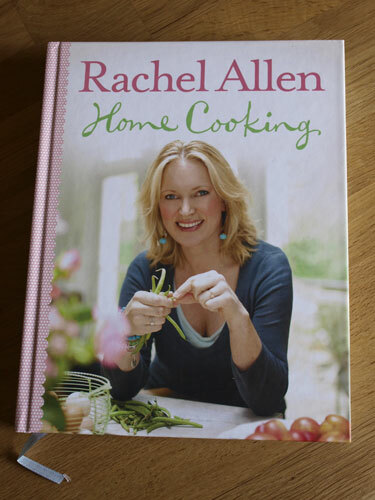 Well, I do love homemade burgers but I don't rate the writer particularly - never enough recipes in any of her books to justify the shelf space in my view. Yours do look great though .